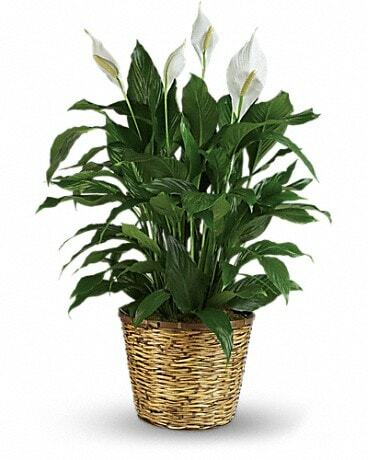 When you want to make a big impression, sending a beautiful spathiphyllum that reaches almost 40" is practically heaven sent. With its glossy leaves and brilliant white blossoms, this plant is super easy to care for. At the same time, it cares for indoor environments as well, cleansing the air of several toxic elements. It's simply elegant and simply wonderful.